Most people are familiar with digital currencies like Bitcoin, Ethereum, Ripple and Dogecoins, and quite a few have used them since their inception to buy with them or for digital currency trading. There are now hundreds of different crypto currencies, but many of them can’t build on the success of their original currency, Bitcoin, and lose value drastically shortly after their introduction. The established currencies such as Bitcoin and Ethereum have also been experiencing violent price fluctuations in the eth btc index of many trading platforms for crypto currencies in recent years. Many investors are worried that Bitcoin and Ethereum could disappear from the market as digital currencies in the long run. But that this concern is unfounded can easily be explained. Why are Bitcoin and Ethereum the best known digital currency pairs? Bitcoin and Ethereum are known to almost all users of crypto currencies. This is simply because they are the first – and therefore the oldest – crypto currencies to be developed. Many other crypto currencies were developed much later. This led to these two “old” currencies not only being much better known, but of course being traded much more frequently than other digital currencies. In some cases it has even become the case that the value of individual crypto currencies is based on the respective “old” currencies. The special thing about digital currencies like Ethereum and Bitcoin is the simple fact that they have no real countervalue. While regular currencies are always oriented towards the gross national product of the respective country, most crypto currencies derive their actual value only from their limited availability – similar to gold or silver, for example. But just as with these precious metals, their value must be recognized. If the interest in the respective digital currency is lost, the value is also lost. Since the interest in these crypto currencies changes daily – or even hourly – these currencies are subject to very strong fluctuations. Nevertheless, digital currencies are establishing themselves more and more as investment and financing options. Even states have meanwhile recognized the possibilities of these new currency types and designed their own crypto currencies. In order to keep exchange rate fluctuations to a minimum, however, the digital currencies of countries such as Sweden, Switzerland or even Venezuela are geared to the gross domestic product of the respective country or, for example, to the international oil price. Of course, there are also a number of crypto currencies that were not created by states or banks. However, these new digital currencies have a hard time achieving the necessary awareness for them, so that some currencies can now only be seen as fun currencies and seem completely unsuitable for investors. A further problem of the new crypto currencies is their usability as means of payment. Bitcoin and Ethereum have long ceased to be purely speculative investment opportunities. Rather, it is now easily possible to pay on many occasions with Bitcoin and partly also with Ethereum. 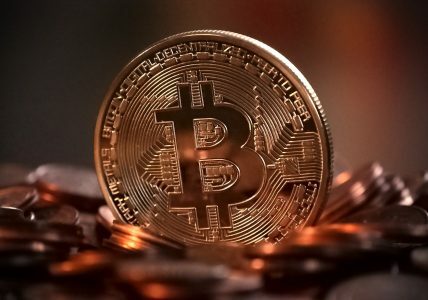 In most casinos Bitcoins are now recognized as a means of payment and there are a lot of online bitcoin casinos as you can see at www.casinobtc.org. The same also applies to various Internet merchants where you can pay for your goods with Bitcoins. Even services can be settled in the Internet meanwhile sporadically with Bitcoins. All these are evidence of the validity of Bitcoins as a means of payment. A similar acceptance has so far only been achieved by Ethereum. In contrast, many new currencies are virtually unknown or are only used by speculators. These are certainly not good prerequisites for the long-term survival of the new digital currencies. 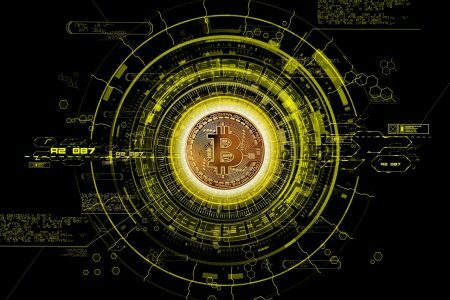 What are the advantages and disadvantages of Bitcoin and Ethereum? Both currencies are among the first and oldest digital currencies. Bitcoin and partly Ethereum are now widely accepted means of payment. Both Bitcoin and Ethereum are sometimes subject to extreme price fluctuations. Despite exchange rate fluctuations, the value of both digital currencies is so high that the purchase can mean a considerable financial outlay. Bitcoin and Ethereum – the two best-known digital currencies – will almost certainly remain with us in the future. One of the main reasons for this is certainly the level of awareness. But the general acceptance as a means of payment also ensures that Bitcoin and Ethereum will not disappear from our lives so quickly. In contrast, the fate of many new crypto currencies is still absolutely uncertain in the long run. They are often simply too unknown, and serve only as pure speculation objects. Of course, this doesn’t have to be bad in any way, especially since they are often much cheaper in price than the old, established digital currencies. But for those who are considering creating financial reserves, Bitcoin and Ethereum are certainly the better long-term choice despite exchange rate fluctuations and also offer many interesting possibilities as means of payment on the Internet.